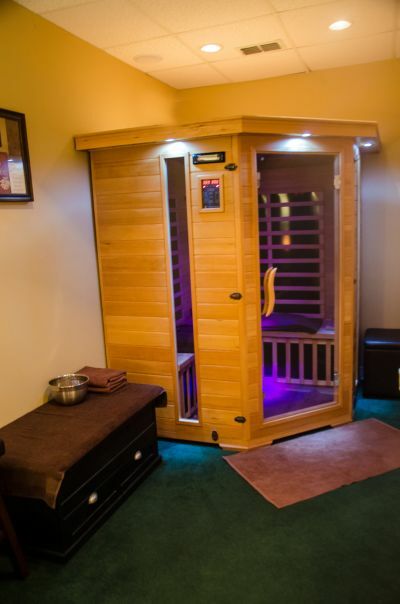 “Far”-Infrared Sauna is great for the traditional uses of meditation and detoxification. Detoxification of the body can optimize the efficiency of the immune system. Toxins in the body can accumulate in the skin and the liver and sweating is one of the body’s natural ways to remove toxins…. As a result, detox helps avoid disease, prevent illness and improve general health and vitality. FIS heats the body from the core, therefore, it allows you to sweat up to 7 times more toxins than traditional saunas. Daily sweating can help detox the body as it rids itself of accumulated heavy metals as well as alcohol, nicotine, sodium, and sulfuric acid. FIS helps with acne by purifying the skin and cleansing the pores thus ridding accumulated dirt, cosmetics, blackheads and dry skin cells. Less toxins in the skin means healthier skin with improvements in skin complexion, tone, texture, elasticity and overall appearance. A weight loss benefit can be seen with FIS. Studies show that just 30 minutes can burn upwards of 600 calories! When using FIS core body temperature increases and the body works hard to cool it down which then causes an increase in heart rate, metabolic rate and cardiac output allowing you to burn calories while you relax. Cardiac improvement can be seen in congestive heart failure, and improved circulation benefits individuals with high blood pressure, sciatica, hemorrhoids, and varicose veins. FIS can help you maintain healthy levels of your stress hormones, like cortisol, thus leading to relaxation, better sleep and an overall feeling of being refreshed and rejuvinated. FIS works by deeply penetrating joints, muscle and tissues, which increase circulation and speeds oxygen flow. Many physicians recommend FIS for Pain Relief and to athletes for sports injuries, fibromyalgia, and other chronic pain syndromes.